You can do quite a few things to improve yourself. You can exercise so you have more energy and focus throughout the day. You can eat healthier so you can more easily manage your weight. You can even dress a little nicer to help your confidence. One thing that is hard to change is your height. Most people wish they were a little bit taller, but beyond a clunky pair of shoes, they are out of luck. Just like your height, the length of your teeth can greatly affect their appearance as well. Things such as genetics or teeth-grinding can leave them looking short. You can fix this, however, with porcelain veneers in Glenpool, OK from Complete Cosmetic Care Dentistry. Because porcelain veneers are able to fix all of these issues at once, it is considered the face-lift of dental procedures. Porcelain veneers can be shaped and colored to give you a dramatic result or just a slight touch up. The material is stain proof, assuring the color is resistant to food, drink, and even smoking. The veneers themselves are very strong, assuring your teeth are not only beautiful, but functional. Proper care of the veneers, which only consists of routine brushing and flossing, can see them last up to 20 years. Your dentist in Glenpool, OK, Dr. Mohanna or Dr. Georgy, will remove a small portion of your natural enamel to allow room for the veneers. An impression of your teeth will be taken and sent to a lab to actually fabricate your veneers. The second visit is when you will try them on, and then have the veneers bonded to your teeth. The bonding material will blend seamlessly with your teeth and give you a hold so secure that you won’t even have to think about it. The only way to figure out if porcelain veneers are right for you is to consult with your cosmetic dentist in Glenpool, OK, whether it be Dr. Mohanna or Dr. Georgy. That way they can determine if porcelain veneers are the right strategy for your smile. 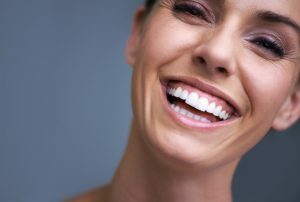 Whether you are looking to lengthen your teeth or completely revitalize your smile, porcelain veneers may be your solution, so give us a call today.